CMS worked with GMG to incorporate fun, innovative product into a central ordering website. 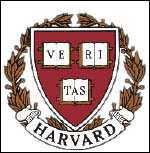 The program initiative was designed to encourage participation from other schools within Harvard to become part of one robust marketing solution. The HSCE was launched in June and includes a small product offering. The site is in the �testing� phase and is intended to be the template to grow participation within the next year across multiple lines of Harvard business.